All computer users should be aware of the best way to back up their driver. It is the perfect way to make sure that work is not lost and can be retrieved whenever it is required. No one will expect their system to go wrong and for them to lose everything but in the real world, that is something that sometimes happens. You will no longer be at the mercy of your computer and risk the worry of an unexpected file loss. The one you will want to use most will be the Free Drive Backup. There is good news as Free Drive Backup will make copies of all the drivers that you have and will keep them safe. If the computer crashes, you will still have them. It is easy to download and best of all it is free. There are just a few steps to follow before you have full protection. 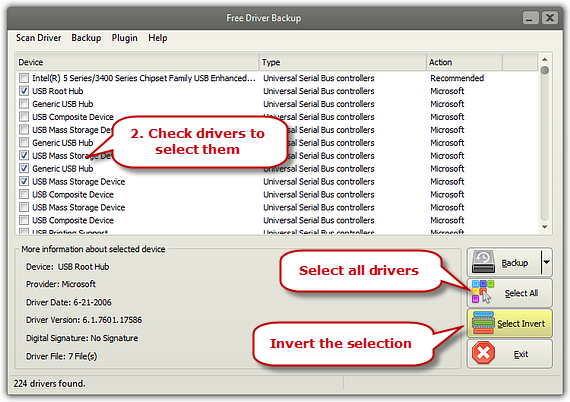 When you launch Free Driver Backup, you will see that your window will show recommended drivers. Select one of them and information such as date, device, version and the like will appear. 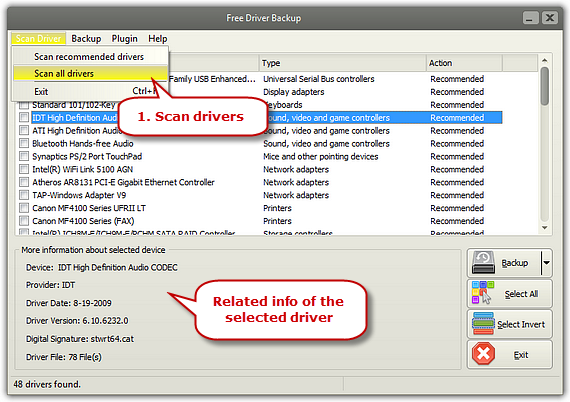 You may need to click “Scan driver” before you can select to “Scan all drivers” and you will see all your drivers. Find “Select all” and click on it. If you click “Select Invert”, there will be an inversion of the command. Any selected drivers will be unselected, and any non-selected drivers will be selected. Where a command was not made, everything will be selected. There are 3 ways that the drivers can be backed up. One can be selected by clicking a hotkey and these could be F9/F10/F11. It will only take a matter of seconds for the process to be finished. 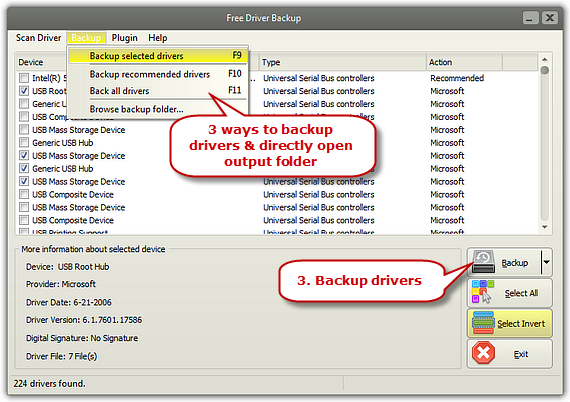 After that, click onto “Backup – browse backup folder” and this will give access to the folder where the backed-up drivers are stored. There are drivers that work well with 32 bits as well as 62 bits versions of the OS for any version of windows. If you are well advanced when it comes to the use of computers, then you should be able to use all of the download features. There is a high level of security achieved as you know that your work is safe. With this system you are given the choice of manually controlling what is backed up and an array of automatic protection. 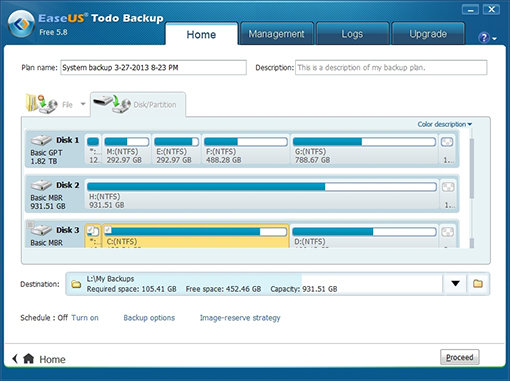 EaseUS Todo Free Backup is easy to schedule a back-up and there is a full range of forms of back-up. It is easy to schedule a backup to fit in with your workload, but in case you are concerned about missing one, there are smart backups that will be carried out automatically. When using Ease Todo you will be able to backup individual folders and files complete drives and you will be allowed to create a full system backup. When there are files in a location that is used on a regular basis, then there will be an automatic backup. If you don’t have a great amount of space, then you can use the cloud. The types of backup that can be run is differential, incremental or full. When getting the free version, you receive most of the features of the premium version. Scheduled backups can happen, but they will not start through a specific event causing a trigger. PC to PC transfer of data and Outlook backup are line driven backups that so not appear on the v=free version, but they are not essential. There will be the offer of a fee download of Bing search along with the Chromium browser, but these are not offers that you must take. 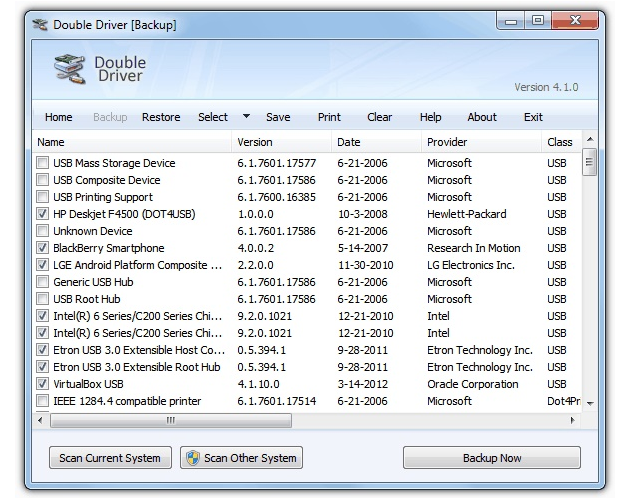 Double Driver is another free tool that is used for the backing up of files. It is specifically efficient when dealing with Windows drivers. Considering that there is not a fee, there is a high degree of safety and security provided. There is a problem here in as much as the updating can be irregular and there are times when it is selective when it comes to working with certain operating systems. It is particular fast when it comes to saving driver details. There will be no sitting around waiting for everything to be completed. Just because you have the current version of Windows it does not mean that you will lose out. You can still back up drivers from this location. If you require them you can have the software compete with a graphical user interface as well as command line. 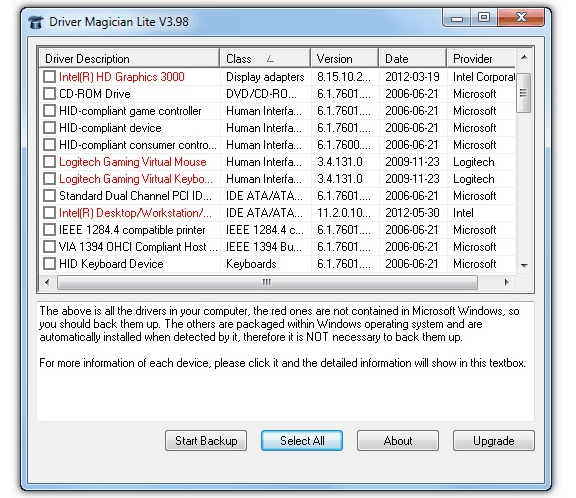 When using Driver Magician Lite, there is going to be little to worry about as there will be a great deal of protection provided for your machine. As with other systems, all versions of windows are covered and if you are a little forgetful there is nothing to worry about as you will not lose out. There will be automatic updates, leaving you free to forget about the need to schedule them or manually start them. Every Windows operating system is 100% compatible so no files or folders will be left out. There will be essential documents backed up. 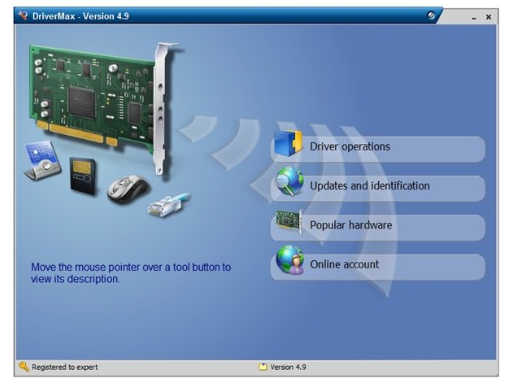 Driver restore is so easy that even the most basic user will be able to carry it out. Automatic update of drives in guaranteed, so there will never be any nasty surprises when an update is missed, and important data is lost. Clearly there should never be the case when data is lost as there was not a sufficient backup plan in place. There are a few free ones that can be used, and they will be just as protective as the ones that you pay for. Free Drive Backup should be on the top of the list of your choices because it’s completely free and safe, providing one-click solutions to your driver backup problem.